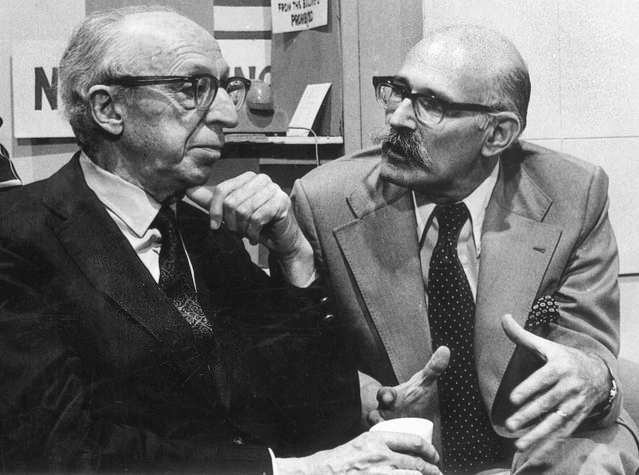 Grammy award winning producer & composer Howard Hillison Scott (shown to the right of Aaron Copland in this 1974 photograph) started his career in 1946 at Columbia Records / Masterworks, the label's classical division. Soon after getting his start at Columbia Records, he was assigned to join a team of their engineers who were charged with developing a long-playing record to replace the brittle shellac 78 rpm disc (which could only hold about 4 minutes per side). The project was designated as top secret and had been in development since 1940. Nearing its completion, Scott was brought on board because the engineering team needed someone with musical training (who in addition to being able to read music, could more importantly read and interpret orchestral scores -- necessary to successfully transfer current 78 recordings to the new 33 1/3 long-playing format). The "LP" was realized in 1948. Mr. Scott went on to become an invaluable member of Columbia's classical music production team, working with many Columbia artists including Glenn Gould, Isaac Stern, Aaron Copland, etc. The rest is of course history and Mr. Scott's invaluable contribution to both music and technology will continue be appreciated now as well as for future generations to come. 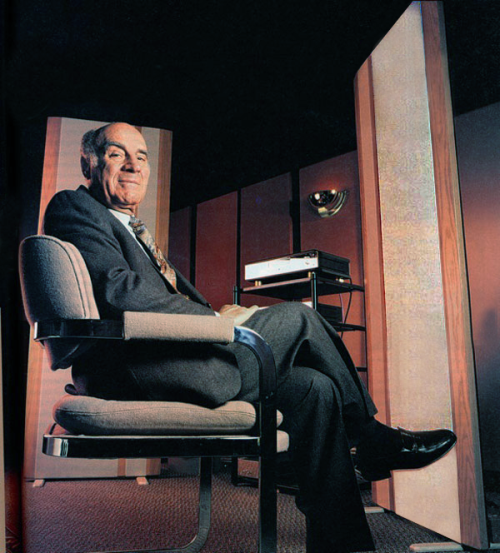 Read more about Howard H. Scott here. You may not have heard of this player, or of Lindemann, but keep your ears out for a big sound from this quiet company. What I didn’t hear from the 825 was edge, glare, or the ‘digititus’ that often afflicts CD players. The 825 is quite analog-sounding. Its treble is extended and clear…Bass response is deep and detailed. I cannot recall hearing any CD player in the 825’s class that goes deeper or with better pitch definition. For the review, the Lindemann 825 served up Clapton’s Layla, I Shot The Sheriff, and Lay Down Sally and a couple from Coltrane too: Blue Train (from Blue Train, Blue Note-CDP7243853428 06) and Equinox (from Coltrane’s Sound, Atlantic Jazz–1419–2). The Lindemann struck an excellent balance between clarity, detail, and tonal balance that at once provided the timbral weight of the guitar and the leading edge attack of the notes, underscoring Clapton’s highly articulate playing. The Coltrane tunes underscored a “double-edged sword” of the Lindemann 825’s resolution and neutrality: a great recording will sound truly great, but the 825 doesn’t hide flaws in a less than stellar recording. While I always found the 825 to be quite neutral, I was struck by its ability to allow an emotional connection to the music. Read the entire review at Audiophilia. Visit WBSNYC to hear the Lindemann 825 High Definition Digital Player for yourself! Martin Appel at Audiophilia came by WBSNYC to give a good listen to the stunning Zesto Leto linestage and Zesto Andros phonostage. Martin’s review confirms what our ears also find true: Zesto makes fantastic gear that is as effective as it is sonically unobtrusive; and the Zesto linestage and phonostage pair very well with Viola Audio Labs amplification and Hansen Audio loudspeakers. But before relating his findings, Audiophilia Editor/Publisher Anthony Kershaw and Martin both cut in to say a few candid and kind words about me and about what we’re doing here at WBSNYC. I have great respect for Anthony, Martin, and Audiophilia. They continue to inform and inspire me. So, I send a heartfelt thank you to them for saying what they’ve said and doing what they do. Meanwhile, in the listening room at WBSNYC… Martin got reacquainted with the Zesto line and phono stages he first met in the WBSNYC room at the New York Audio and A/V Show 2012. 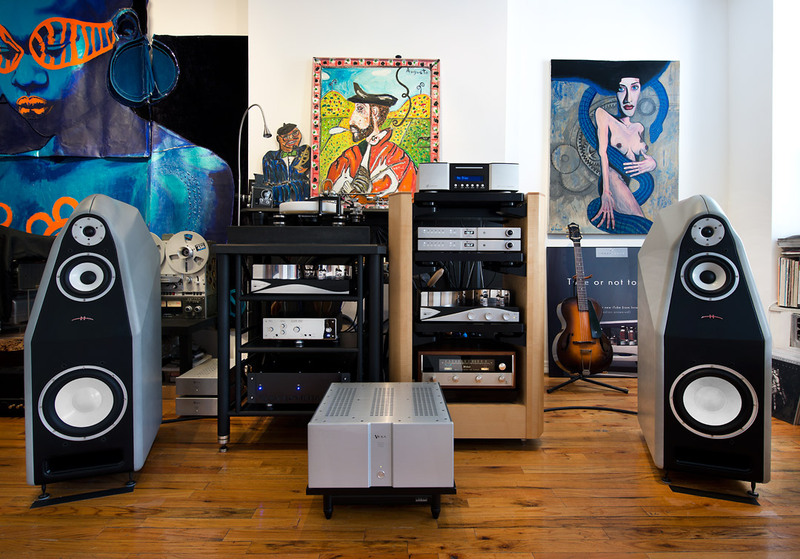 We listened to several CDs served up by the Lindemann Audio 825 High Definition Disc Player through the Zesto Leto linestage into Viola Audio Labs Symphony amplifier into Hansen Audio Prince E loudspeakers connected with Jorma Design/Unity interconnects and speaker cables. We listened to vinyl on a Townshend Rock 7 turntable with an Omega Silver Ruby tonearm bearing a Transfiguration Axia cartridge through the Zesto Andros PS-1 phonostage into the same amplification and speakers. 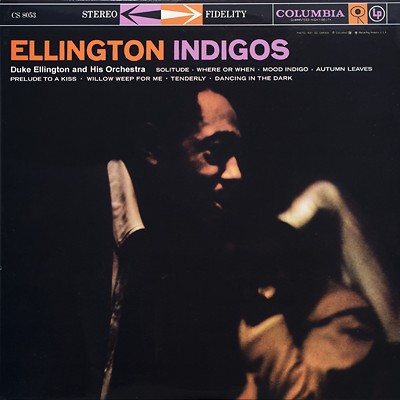 Martin seemed to really like the Impex remaster 180g pressing of Ellington Indigos. …it was apparent that the Zesto equipment in the loop created a synergy that enhanced the already excellent sound… Blending the Viola solid state amp with the Zesto tube equipment seemed fortuitous allowing the Hansen Prince IIs to show off their full range capabilities. 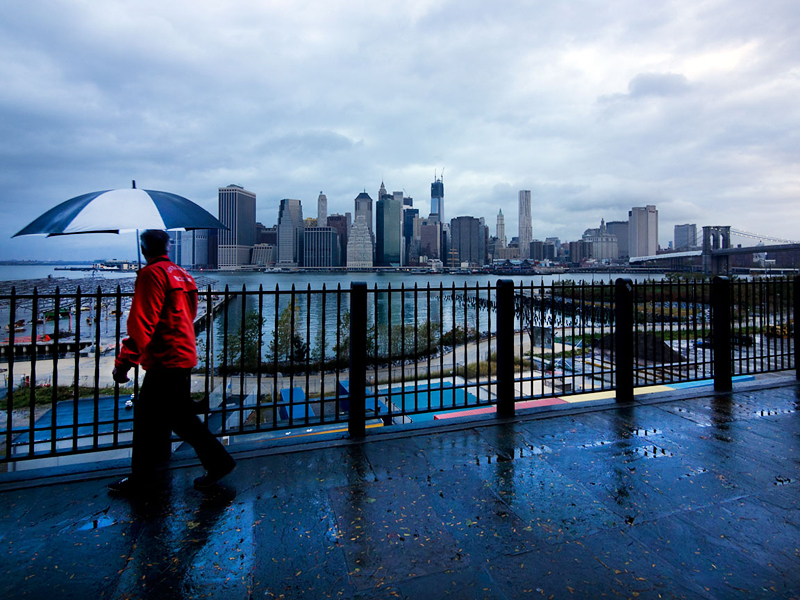 He also said that the sound, “had a rightness to it that was difficult to put in to words.” We experienced that same rightness when we added Zesto to WBSNYC. I only wish I could have stayed longer to further enjoy the experience. Time flies when you’re having fun. Read Martin Appel’s full review of his visit to The Studio at Audiophilia.com, it’s part of the “In the Trenches” series. 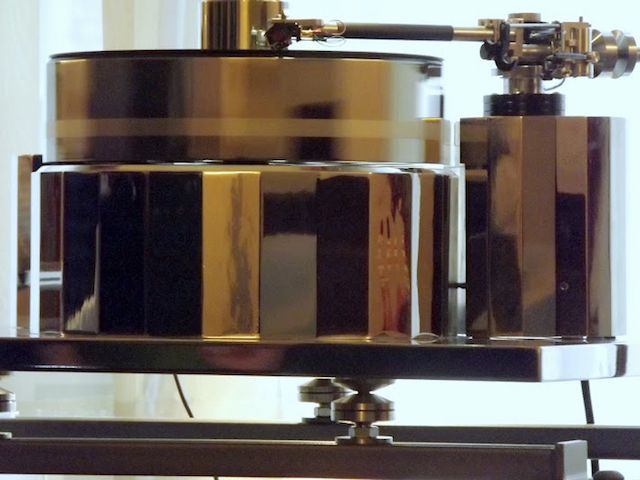 AV Showrooms posted this short clip of the Redpoint Audio Design MG faceted (special edition) turntable in action spinning some jazz vinyl via Zesto Audio's Andros phono stage, through Hansen Audio Prince E speakers at the 2012 New York Audio & AV Show. Bling! Audiophilia's Michael Levy found fine sound at other locations at the NY Audio and AV Show. But he said, "I clearly had a favorite, the Wes Bender Studios room with the Hansen Prince [E] loudspeakers w/Viola electronics, Jorma cables, Redpoint turntable and Lindemann Audio CD player". 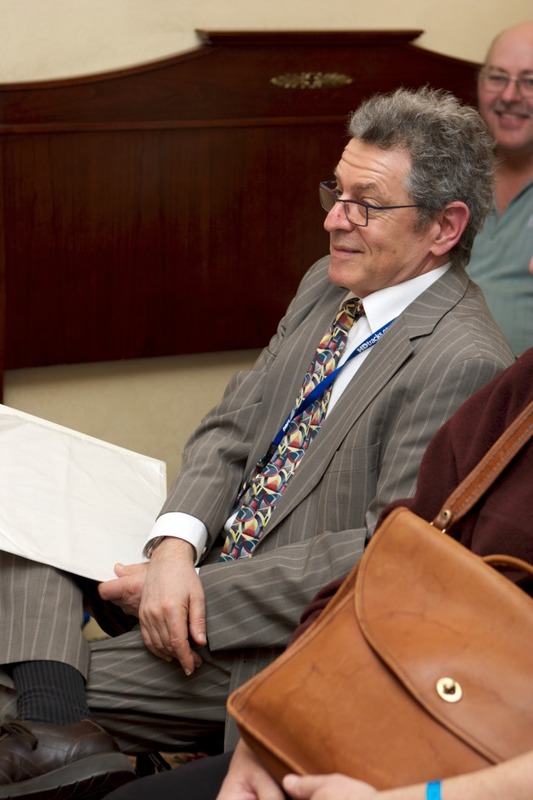 Michael went on to note that the WBSNYC room "passed all of the hurdles." "Imaging was wide and open. " He added that, "bass and treble extension were excellent, sounding dynamic, detailed, and smooth." Importantly, while he found that instruments and voices were present with "fine detail" he noted that they were "clearly evident, but, as it would be in performance, not pronounced." 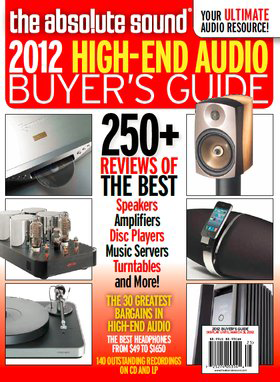 Michael's review of the New York Audio and AV Show 2012 is at Audiophilia.com. Henry Wilkenson said that "Wes Bender and his Wes Bender Studio N.Y.C. once again hit it out of the park sonically." Henry liked the Hansen Prince E speakers and the "terrific" Redpoint Model MG turntable. But he made a special mention of Zesto tube phono stage "[r]ounding out the analog section was the great sounding Zesto Audio Andros PS 1." As he put it, "[y]ou may not know the name now but I’m sure that you will be hearing a great deal about this fantastic phono stage in the near future." Henry's full review of the New York Audio & AV Show 2012 is at Audiophilia.com. 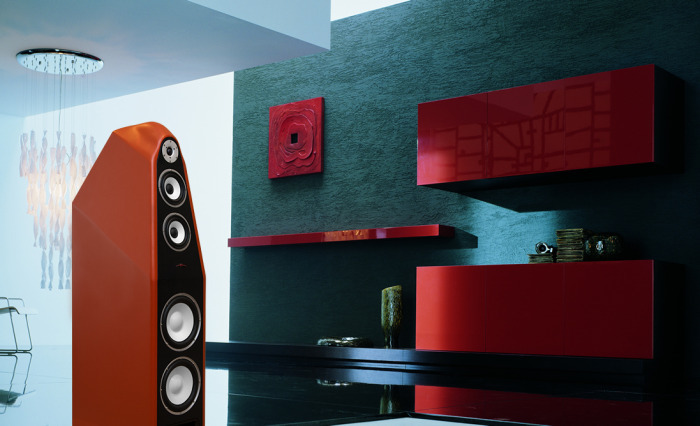 Earlier this year, Audiophilia's Michael Levy referred to the Wes Bender Studio NYC room at CES 2012 as "audible ecstasy" while listening to the Redpoint Model D turntable. At the New York Audio & AV Show, Arel Bitran writing for Stereophile titled his review "Immediate Ecstasy in the Wes Bender Room". Arel was "immediately impressed" by the "open and relaxed" sound as demo track of Strauss's "Thus Spoke Zarathustra". But he decided to "really put this system to the test" and played "NR17" (from Syclops's "I've Got My Eye on You") with all its bombastic and frenetic fun. We're glad he did. 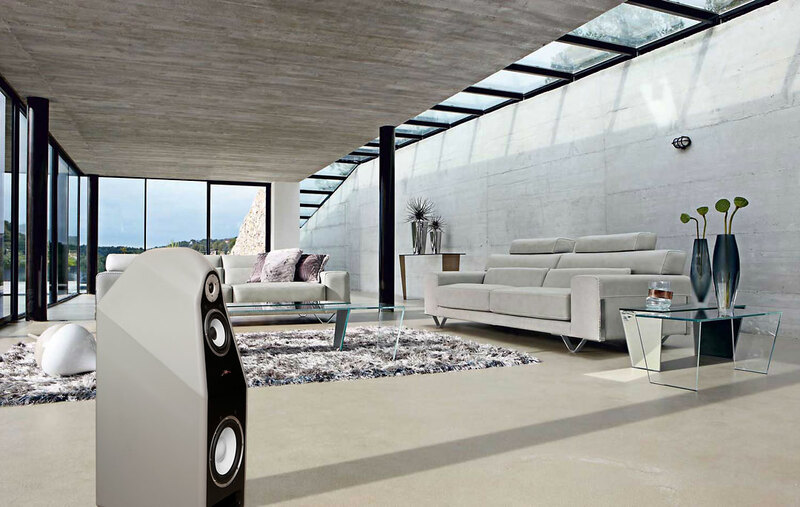 Arel found that the "Hansen Audio Prince E loudspeakers were fast, spinning the tune into overdrive, with each of those on-the-beat kicks propelling the music forward in a snappy fashion. Bongos bounced from wall to wall. 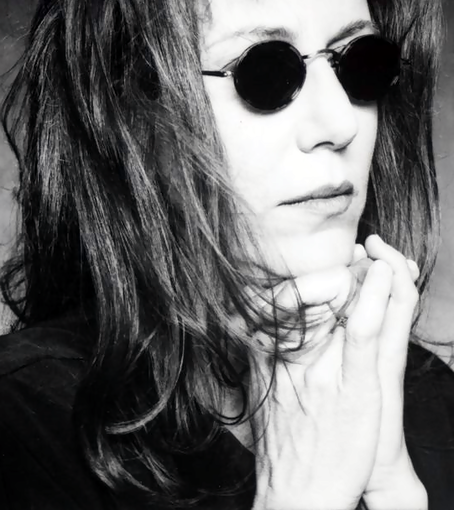 Synthesizers and electronic noises fluttered and zoomed around the room like birds and airplanes." The effect on the room was palpable. As he notes, "Everyone in the room got wild-eyed, pupils dilated. What exactly is going on here?" In an amusing outburst that continues the association of the sound in Wes Bender Studio NYC rooms being described as "ecstasy", according to Arel, "Wes Bender’s sales partner, Dan Meinwald, screamed, 'If it gets any louder, we’re gonna need some ecstasy!'" Arel's response was, "Well Dan, as far as I could tell, everyone in that room was already rolling." Audiophilia's Michael Levy said Wes Bender "created a state of the art listening experience" at CES 2012. He thought "The Prince E speakers were exceptional performers in every parameter, which of course meant that the rest of the system was well matched." When it came to analog audio at WBSNYC, Michael was even more succinct: "Vinyl and shellac pressings on the Redpoint turntable were audible ecstasy." And we didn't even have to coerce him with hot cops!